It’s been a miserably sad week in the world of popular culture, but here’s something to cheer us all up: Marvel’s Star Wars comics are officially delving into The Force Awakens content in style, with a series all about our new favorite X-Wing pilot, Poe Dameron. As revealed by USA Today, Poe Dameron will be an ongoing series from the creative team of Charles Soule (who wrote the excellent Lando miniseries) and Phil Noto (who provided the gorgeous art for the recent Chewbacca miniseries), and follow’s Poe’s career in the Resistance before the events of The Force Awakens, where he’d grown into the ragtag group’s best pilot, going out on personal missions for General Organa. Although the pilot already has his fair share of fans after The Force Awakens, we don’t really know all that much about him, so Soule and Noto are aiming to balance some sweeping spaceship dogfights with a little character introspection to give us some insight into the Resistance’s brash and charming X-Wing ace. But character’s old and new—yes, BB-8 is a major supporting character in the comic—will play a part in the series, which basically sounds more and more like a modern update to the classic Dark Horse X-Wing comics, which focused on the daring pilots of the Galaxy far, far away rather than the mystical Force or the main heroes. As someone who loved Poe enough to consider him the second-best X-Wing pilot in Star Wars after seeing The Force Awakens (sorry, no one beats Wedge), and someone who wanted to see Marvel’s Star Wars series expand into the little-worn ground of the period between Return of the Jedi and The Force Awakens this year, I couldn’t be happier that we’re getting this series, especially from a team like Soule and Noto. 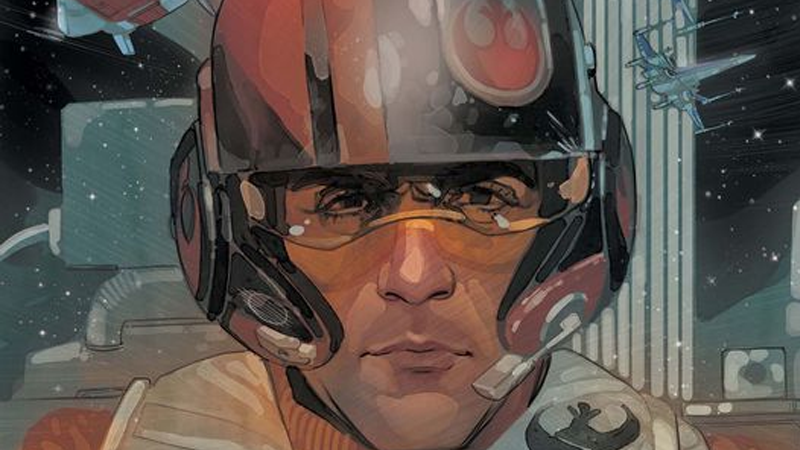 Poe Dameron begins in April.